After hearing of Mr. Williams accident and the risk of losing his guide dog of so many years, the Dillon Foundation made an initial contribution to make this a better situation. 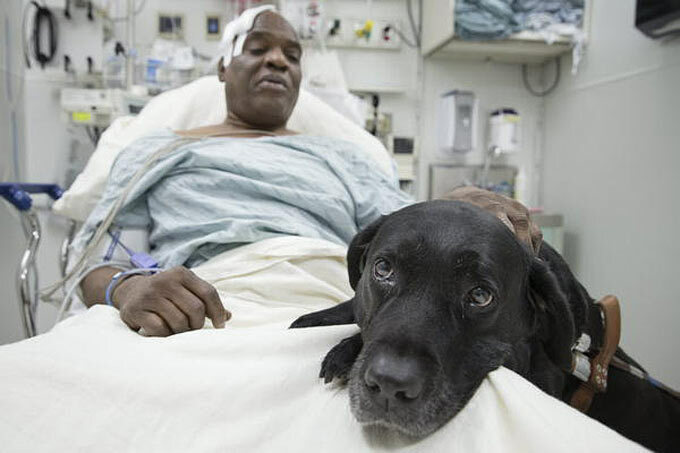 So far at least $100,000 have been raised so that Orlando, a soon-to-retire guide dog who jumped onto subway tracks to protect Cecil Williams from an oncoming MTA train in New York, can stay with his owner as a pet. As a result of this effort, Williams will receive a new seeing-eye dog when Orlando retires, but he now will also be able to keep his four-legged companion of eight years as a pet. The pair came to public attention earlier this week in dramatic fashion, after a near-miss with a subway train. When Cecil Williams lost consciousness and fell off a subway platform and onto the tracks, his seeing-eye dog, Orlando, jumped after his owner, according to Associated Press reports. A northbound A-train rumbled toward the pair on the tracks of the 125th Street station, and both man and dog ducked, as the first two cars went over them before coming to a halt. As it turned out, Williams and Orlando were spending their last days together. Orlando, a black Labrador, is nearly 11 and is slated to retire as a service dog at the end of December, and Williams felt he could not responsibly afford to keep Orlando as a pet until now. Update January 27, 2014. Click here to view.